We're nearing the end of our first month at the Not Dogs pop-up shop within The Moveable Feast and the time here has flown by! There's no surprise that The Original Frank is the most popular Not Dog with Kickin' Katie Nacho Dog coming a close second... it must be those homemade German beer-fried onions that hit the spot! The launch party here in March was great and we received some fantastic press from Timeout, The Londonist and Fabulous Magazine. Plus we met some lovely foodies and bloggers who loved tasting their first Not Dog! We were also thrilled to be featured on Meat Free Monday and Quorn's social media channels and even had a family travel all the way from Cardiff to see us - what a treat! 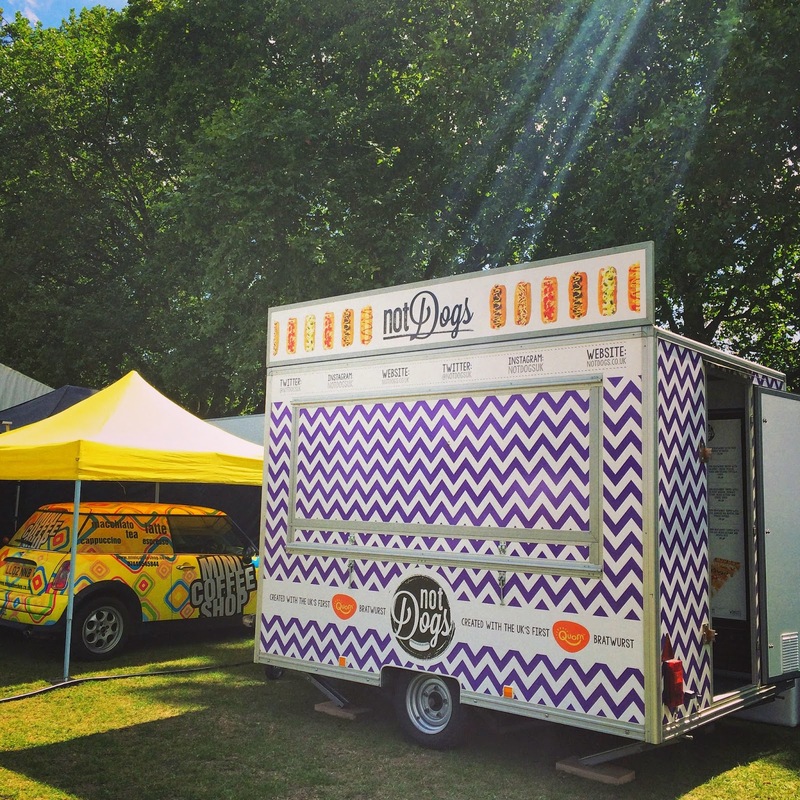 Not Dogs will be embarking on a summer of festivals in the little purple truck! See our website for all the latest locations, we'll be updating them as soon as we have our events confirmed.